Washes off w/ soap & water, no special remover required. While we've heard from a frog that living life in a verdant hue isn't super easy but we think the green living is pretty awesome. Just think about it, fellow costume enthusiast, there are so many great green characters out there! Their existence might not be easy but it certainly is chill! We'll try and restrain ourselves and only name a couple. First, there are the little green space people that jump-started stories of Area Fifty-one. Then there are all the classic witch costumes out there with healthy grassy facial features. Next, we've got to recognize all the wonderful green creatures out there, both fictional and actual. Let's hear it for the dragons and the Loch Ness monster as well as dinosaurs and turtles! They all rock that green lifestyle and, honestly, it looks pretty easy to us. 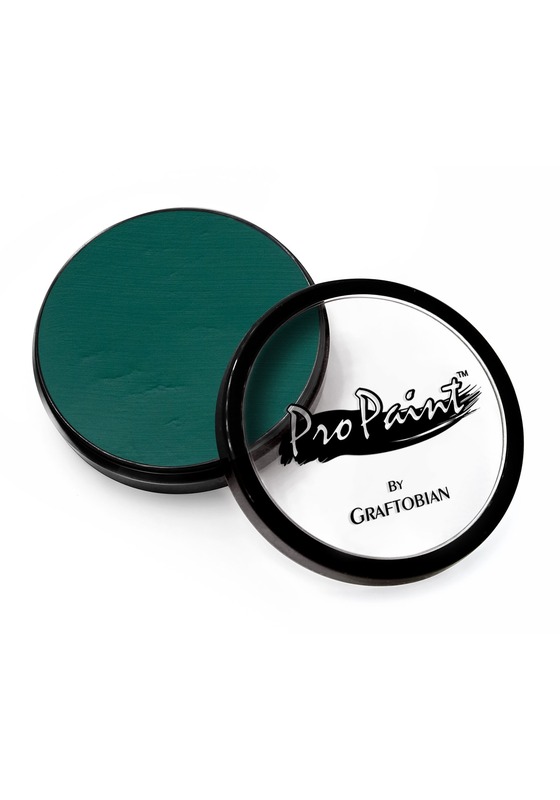 This theater quality face and body paint dries on the skin comfortably and has a breathable feel and smooth, smudge-proof texture. It comes in a one-ounce cake, is fragrant free, and can be activated with a bit of water.Want to amp up your reptilian game? Use one of our stencils to give yourself scaley textured skin. Apply it with a sponge and you'll be ready to live that free and easy green lifestyle! Want to go back to your normal hue? All you need is a little warm water and soap. You might be a little bored with your standard skin-toned facade. We get it, it's much more fun to explore different hues. You're not stuck with green either! Ramp up any costume with Pro Paint's high-quality face and body paints. You remember how much fun you used to have with face paint when you were a kid, right? Well, you can paint your face all you want as an adult. We bet you our bottom dollar, kid-you would be green with envy right now!